If you are starting out with a home based business, the chances are that your budget for promotion does not exist. When you are new to working at home, you may be lucky to afford all the electronic equipment you will need. However, promotion is essential if you are to grow your business and make a success of it. Here are some tips which can help you to promote for free. First of all, set up a website or blog. Although it is better to spring for the cost of registering and hosting your own domain, you can also take advantage of free blogging sites such as WordPress and Blogger. WordPress is slightly better because there is less spam and you can set up a static home page that looks like a normal website. Use your site or blog to publish details of your skills, services and products so everyone can see them. Be sure to do some research and include keywords relevant to your home based business in your site content. That will help people to find your site through the search engines. Next, let people know it is there. Write an article related to your business area and submit it to a free article directory such as EzineArticles or GoArticle. Be sure to include a bio box at the end that says what you do, links to your site and includes a call to action. This article will be reprinted on hundreds of sites, all of which will have a link to yours. Register with forums that relate to your business. Post and comment regularly, using a link to your site in your signature. People will click on the link and will find your business. With any luck the word will start to spread, but you can still help it along by commenting on relevant blogs and including a link to your website. No spam, please – keep your comments targeted and relevant and that’s exactly the kind of traffic you will get. Of course, not all your promotional efforts have to be online. You can also put a sticker in your car window showing the address of your website or blog. You can also take out free ads both offline and online which will describe your business and make it attractive to prospective buyers. All of these strategies will help you to raise the profile of your home based business and they won’t cost you anything but the time it takes to do them. This time is well worth spending if it means that your business is a success. Want to use this article on your site? Contact me about licensing rights. Sounds like excellent advice to me. I’ll have to make sure that I do exactly as you say at http://www.filmandmoviemaking.com and look forward to the results. Excellent post. 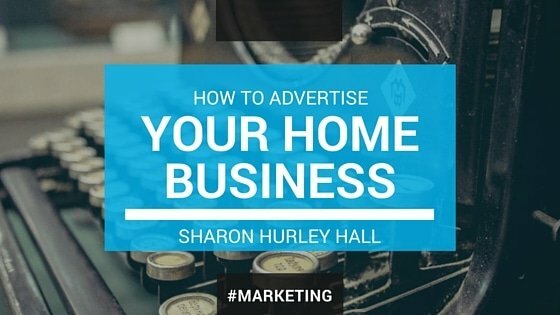 It’s amazing how quickly things can happen for your home based business when you start a self-promotion campaign. A little bit of time every week can bear loads of fruit! Glad you liked the article, everyone. This resulted from a gig I did over a couple of months writing about online business. Fantastic Advice, Sharon! You’re always full of wonderfully insightful information.